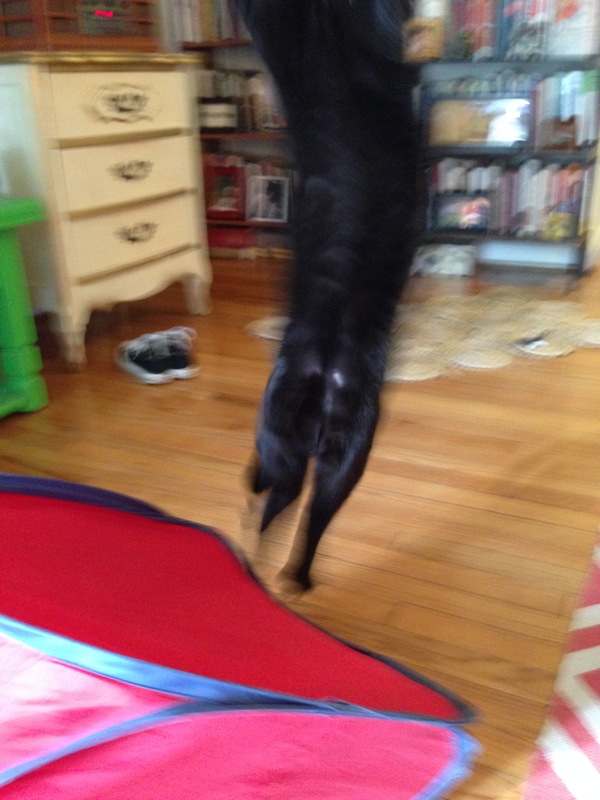 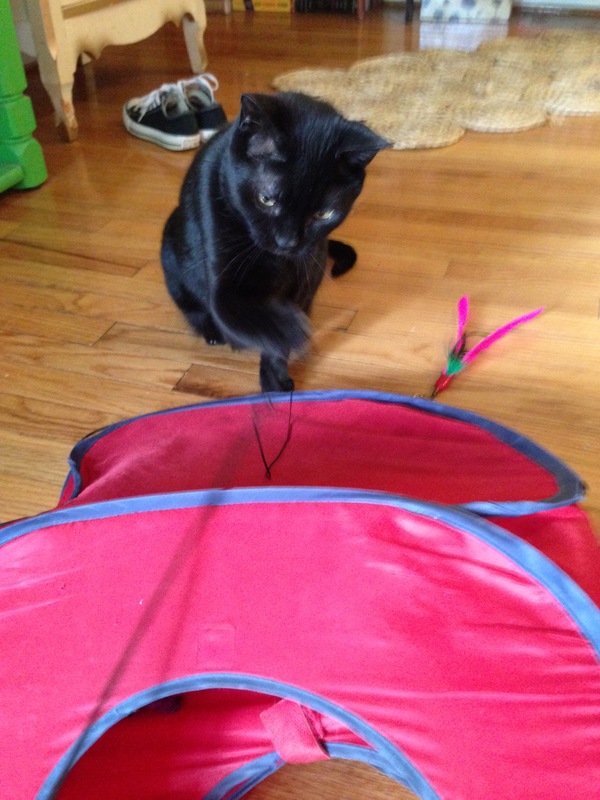 Mr. Man with his battery-powered “hot pursuit” kitty game – a generous gift from his cat-sitter extraordinaire Auntie Pat. 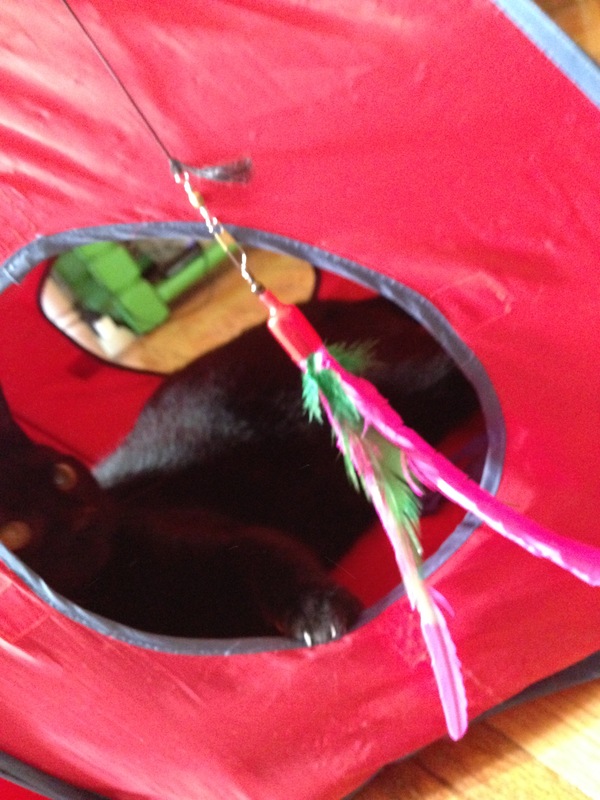 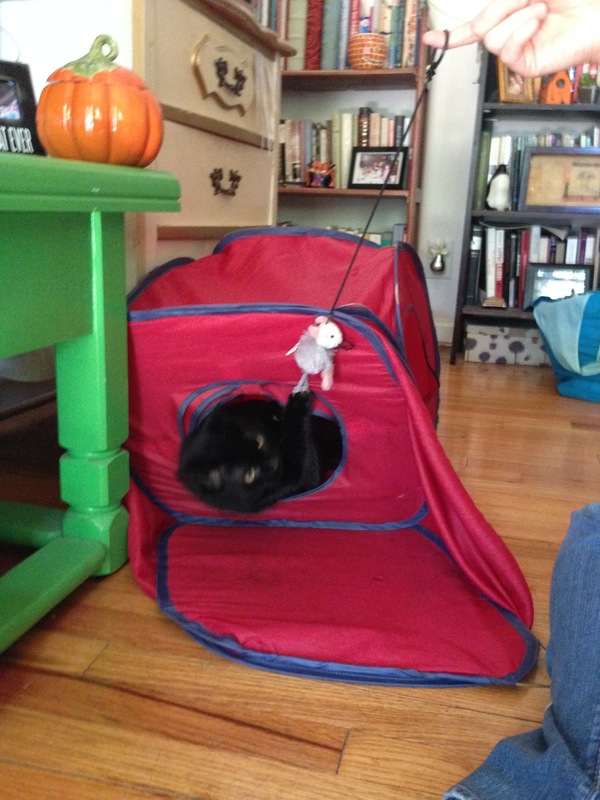 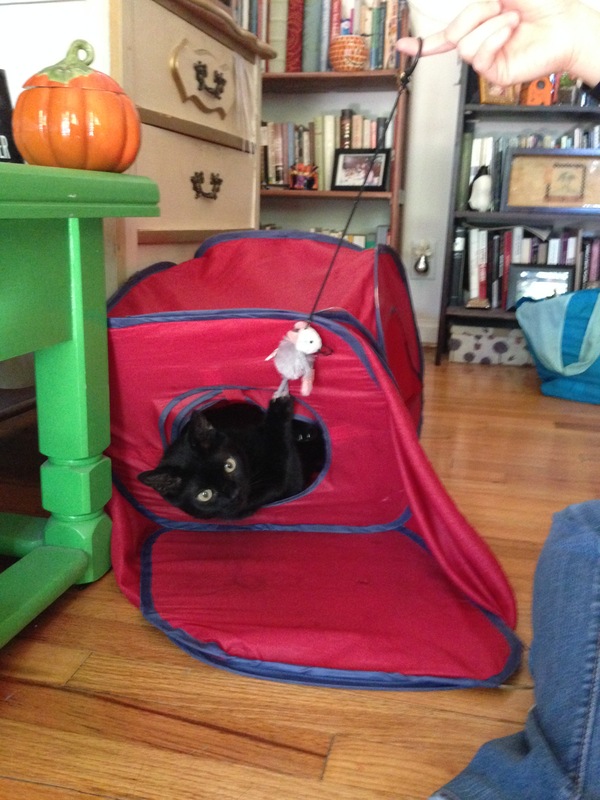 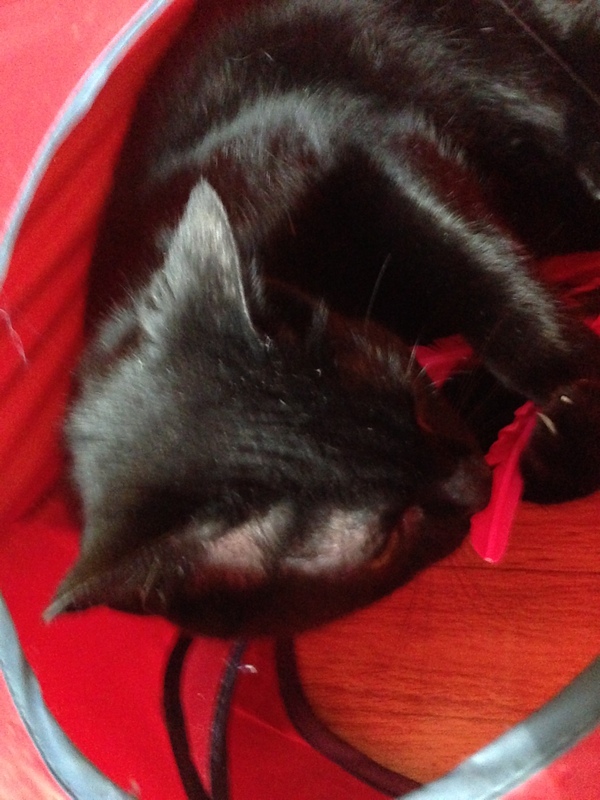 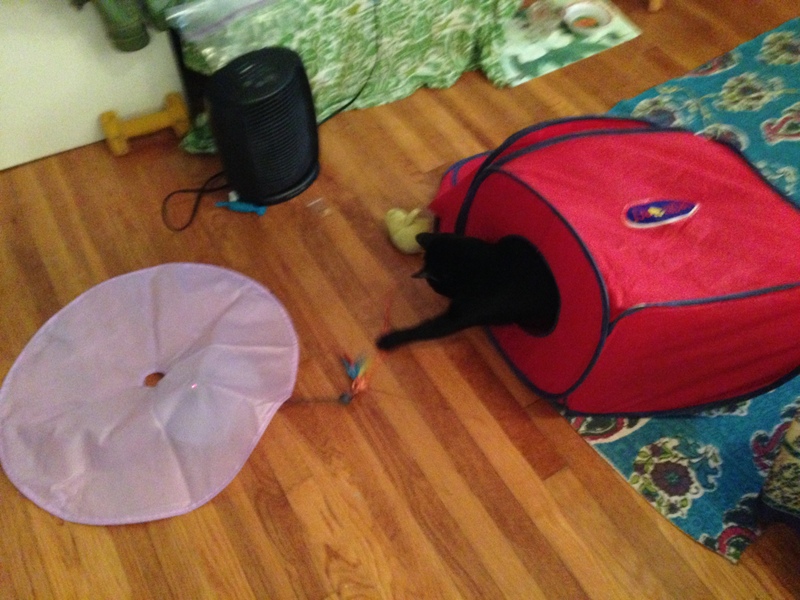 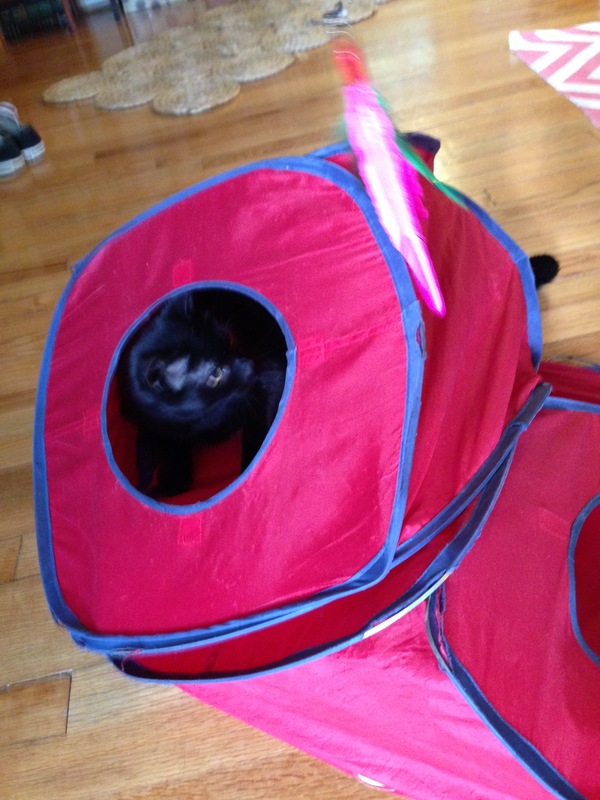 The combination of kitty tent and spinny toy keeps the babyman occupied for hours on end. 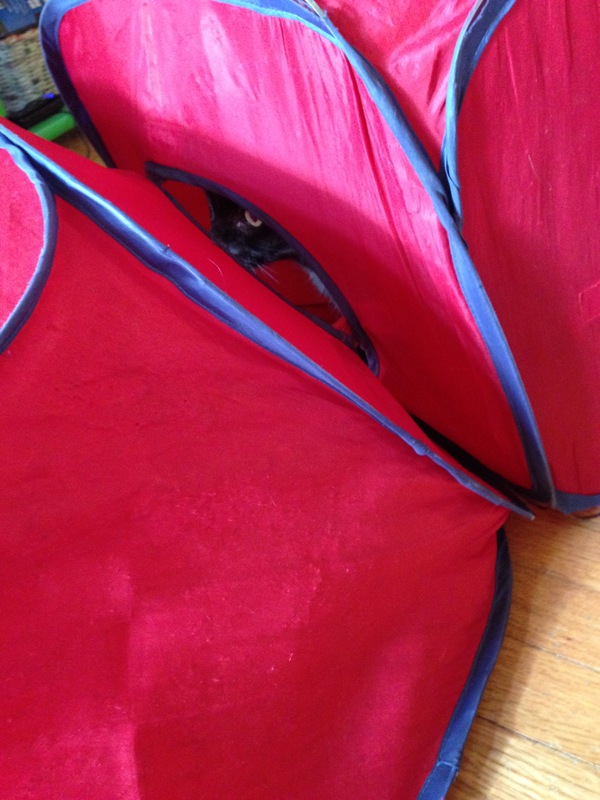 After a bit of exertion, he likes to sit back (sometimes in the tent, sometimes sprawled on the floor) and just watch it go. 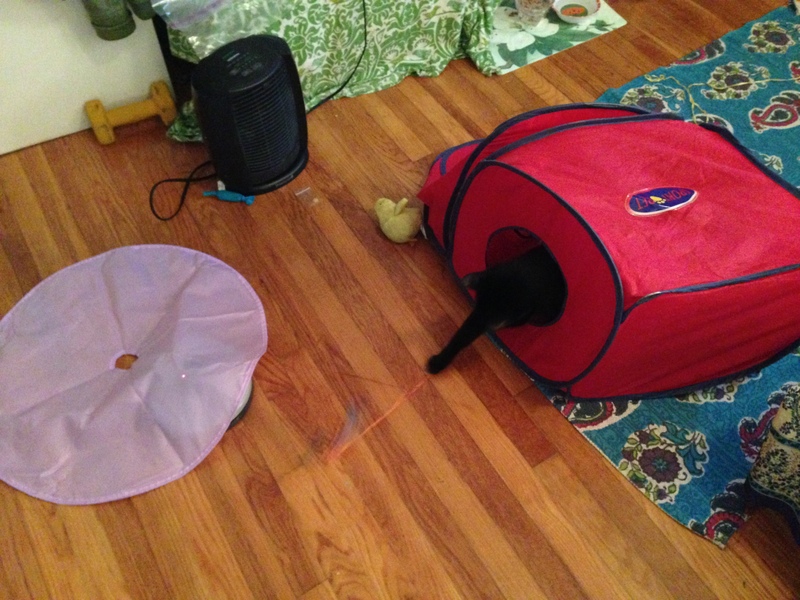 Note the proximity of the whirring space heater and much-laundered baby chick doll (a very, very old gift from Mr. M’s beloved grandpa).